Ride Description from CTBikeRoutes: This century ride follows mostly rural town roads, and lightly traveled state highways with good shoulders. 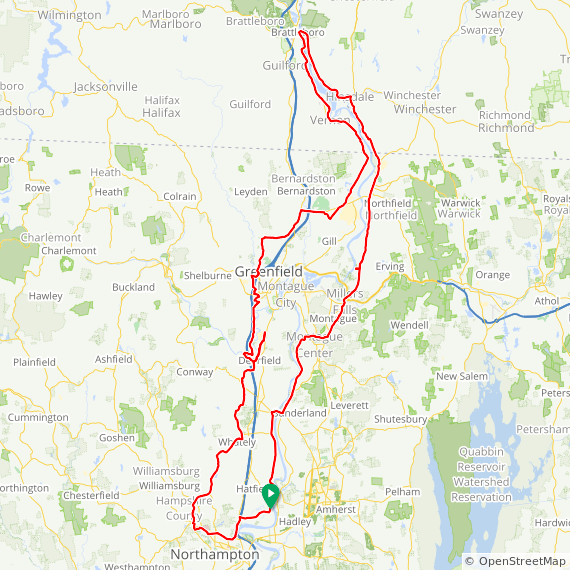 For the first 60 miles the ride heads north to Brattleboro, Vermont, following a course west of the Connecticut River. At Brattleboro, the ride crosses to the east side of the Connecticut River and heads south back to the starting pint. Although there are a few modestly hilly sections, the ride is generally pretty mellow. The scenery is lovely and the traffic relatively light. 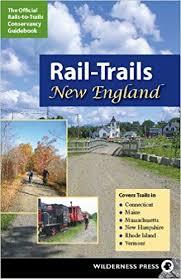 This ride was developed by the Franklin-Hampshire Freewheelers bicycle club.